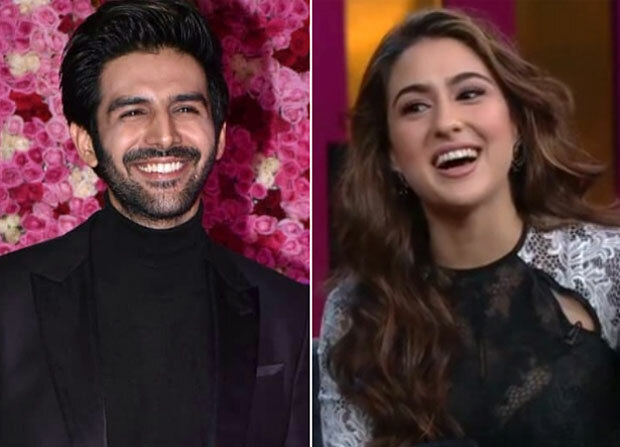 After Sara Ali Khan’s confession about Kartik Aaryan on Koffee With Karan, the possibility of their pairing, both on and offscreen has been sending waves of excitement amongst fans. 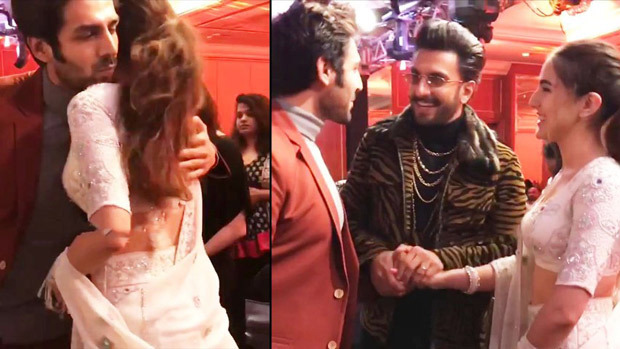 They were recently ‘introduced’ by cupid Ranveer Singh and were spotted blushing in a video. To our delight, Bollywood Times reports that the two are set to star in Imtiaz Ali’s Love Aaj Kal 2. The film makes for a happy or ‘intended’ coincidence. Love Aaj Kal starred Saif Ali Khan and Deepika Padukone. In Sara’s appearance on the sixth season of Koffee With Karan, Karan Johar asked her about whom she would like to marry and who she’d like to date. Sara replied that Ranbir Kapoor is who she’d like to be married to but she wanted to date Kartik Aaryan. Since then the media has been abuzz with everything that brings the two together. Sara made her debut in December 2018 with Kedarnath. Her second film Simmba opposite Ranveer Singh hits theatres on 28 December. Kartik Aaryan’s Sonu Ke Titu Ki Sweety made waves at the box office this year. Previous articleBole To Ekdum Jhakas Actor Anil Kapoor Turned Sixty Two Today !